1) How can I get Sing Panels to use in my Tiny House? The demand for Sing Sandwich Panels in tiny house building is huge, be aware that we do not sell to end-users, only wholesale (unless you are purchasing a Sing Tiny House Kit). Contact your local sheet goods supplier or lumber yard and ask for Sing Core. This saves you delivery time as well as additional packaging and shipping costs which could be more than the material cost. 2) How do I learn more about Sing Core? Most everything you would want to know about Sing Core is available online at www.singcore.com. Please feel free to learn by studying our web site. We do not field calls for questions about Sing Core, but any questions that you may have can be answered by your architect, designer or contractor. 3) What is inside the walls of the tiny house? Our Tiny House panels can be manufactured with either EPS or urethane foam. EPS would be best for Tiny Homes that are in a fairly temperate climate with not a lot of temperature extremes. Urethane foam would be best for Tiny Home locations where you get a very broad range of temperatures so as to be less impacted by the changes and don’t want to use as much energy to heat your tiny house. 4) Does my Tiny House come already painted/stained? Our Tiny House walls (exterior & interior) come paint grade, any finishing to get panels ready for painting/staining are up the customer*. *It is important that customer finish their panels with a paint/stain/some kind of siding, especially on the exterior to provide a level of weather protection. 5) What are the advantages of using Sing Tiny House Panels? Lightweight: Our panels are lightweight, which makes your tiny house easier to transport (either flat-pack or erected on a trailer) because of the lightweight qualities makes it cheaper to transport because you use less fuel. Flat and Strong: Our panels stay flatter and less prone to warping which make putting your tiny house easier to put together, in addition our honeycomb panels are 1/3 or more lighter than solid wood panels but are stronger than the average RV/Trailer which uses standard plywood. Economical: Our tiny houses are more economical to move than compared to standard RVs, our tiny houses will last longer, stay useful longer, which gives you a better return on your investment on your tiny house. Add wheels for road towing. Build Sing honey­comb tiny house on top of the trailer to show off your energy efficient life style. Sing honeycomb trailer home is only half of the weight of other frame type of tiny house on the trailer. 6) Do you have any floor plans or design services? No, we do not have any kind of floor plans or design services because with our panels the sky is the limit, we allow our customers the freedom to explore their imaginations and the web to come up with a design that will fit their dream tiny house and their budgets. We want your tiny house to reflect your personality, not what we could think of for you. 7) Do your tiny houses come with any accessories? 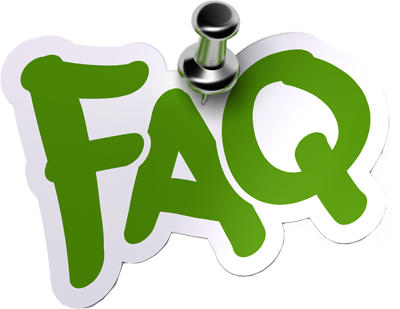 We do not offer accessories or other building materials, because like question #4, we don’t know your budget, your desires or your likes/dislikes and to help to keep cost down with our panels we don’t have any accessory inventory to try and sell to you our customer. 8) How do I install electricity in my Sing Tiny House? The electric wire can be installed through the top, bottom, and even in between each panel. The wire is then routed out of a channel, and then covered with trim. Another way of wiring the panels would be to cut a groove into the Sing Honeycomb panel, then cover the groove by gluing a piece of molding or trim on it. Gluing molding or trim on the groove will also reinforce the panel. 9) How do I install plumbing or gas/propane in my Sing Tiny House? The larger pipes can be installed either underneath the flooring or on the surface of a Sing panel. If fastening a pipe to a Sing panel, use 2” x 2” studs, then cover the piping with a faux wall (siding or another panel). 10) Where do I get furnishings for my Tiny House? Please visit www.singcore.com furniture section, Sing honeycomb furniture is easy take apart without damaging for easier more efficient shipping and storage. 11) What is the R-value of the Sing Panels used to make Tiny Houses? The R-Value of Sing panels using EPS Foam is 3.5 per inch. The R-value of Sing Panels using Urethane Foam is 6.5 per inch. 12) Are there any other insulation options for my Sing Tiny House? The R-Value is based on what kind of foam is inserted inside Sing Core’s wood torsion box structure (see previous). Custom foams could be substituted per your specifications at added cost. 13) Does this price include tax? Prices do not include sales tax. We only collect sales tax on Tiny Houses delivered within the state of Washington. 14) What do you charge to ship Sing Tiny Houses? Shipping of your Sing Tiny House depends on the size and destination for delivery. We use a variety of shipping methods including commercial freight lines and independent Tiny House delivery drivers. We always do everything possible to get you the best rate for on-time delivery of your Sing Tiny House. 15) Do Sing Tiny Houses have a tight seal? Due to Sing Tiny House panels being perfectly straight, they have a tighter seal than 2×4 or 2×6 stick framed Tiny Houses which bend, warp and twist. Sing Tiny House panels are true flat and will not compromise your tight seal. 16) What skin options are available for my tiny house? 17) Do Sing Tiny Houses come with roof panels? Panels are included in Sing Tiny House Kits to cover the Tiny House. Standard roof panels do not come equipped with roofing material, which is added by the contractor or recipient on site at the build location. 18) Can you help me build the lightest Tiny House? We do not provide you with design assistance, just the building material. Compared to other tiny houses your Sing Tiny House will weigh less and have more usable interior space. Example in identical 130 sq. ft. tiny houses on wheels: Traditional=5,600 lbs. Sing Tiny House=2,600 lbs. (light enough to tow by economical automobile). 19) How thick should the wall be in my Tiny House? It is strong lightweight and easy to work with current cam lock system and edge banding (2 inch edge banding is common size for Sing panel as trade show panels). Click here to see how to assembly the wall of trade show panel wall it is similar to tiny house even regular house wall. 2 inch floor and roof is fine (3 inch floor and roof even better if budget allowed for extra insulation and stiff floor. 20) What skin options are available for my Tiny House? 1/4 inch plywood is the most common due to being lightweight and super strong. With proper prime coating, it will last for years. 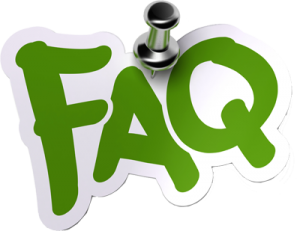 21) What kind of fastening system should I use for my tiny house? 22) So I can make a temporary tiny house that I can break down and flat pack? Sing Home Inc. mission statement: To make life easier, Sing Honeycomb Panels are simple to build with, simple to use and are built to last and this makes them beautiful, so Simple is Beautiful.